Just designing the appearance of website is not only task to do for web designer. They often have a major role in writing the front end code. Hence, he has a key responsibility in deciding the SEO capability of website. However there are number of web designers who don’t get this subject well enough to create a design that is wholly optimized for search engines. Fortunately, we are providing an article to improve web designer’s SEO skills to average or even above average. 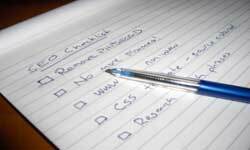 Check out our additional SEO guidelines for web designers. When writing the front end of site, make sure that you are using semantic code. Search engines can easily read and have a better indexing of our contents, only if you have used descriptive tags to structure our webpage. This will also make your website style much easy, clear and clean. 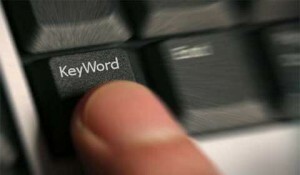 Keywords are used to describe your content. It is very important that they should appear on strategic places such as URL, title tag, headings within your webpage. It is also important to place them within body of the content, but avoid keyword stuffing. You can create creative and attractive flash based drop down menu for your site navigation, but avoid it. Search engines are not able to read any type of movement including flash, means the links used in flash navigation are not followed by any search engine. Make sure that your website should have a unique title attribute. If you use the same title for every page, search engine will consider that every page on your site have same subject. Exercise of giving alt attribute for every image to properly describe them. Search engines can’t see or read image, but describing them can give them ranking in image search result. Search engines give significant importance to the links. Hence, while linking a relevant content, be certain to use a best describing word or phrase. For instance, if your were giving your reader a links for tutorial about CSS, use something like “Learn more about CSS” instead of just “Learn more” or “Read more”. As a designer, we always want to make things as attractive as possible. It also includes replacing text heading or part of text with a nice typographic image. But try to avoid it if possible. As describe above search engines can’t see the contents of an image, so use keywords instead. Best option for using images is Fahrner Image Replacement (FIR) which is web design technique that is used in CSS. Ajax is great for improving user experience or interactivity, however do not overuse it. Because content created with Ajax can not be link to. So use Ajax for loading multiple pages, not a single page. Getting your website linked by popular sites in associated position will really help your site to get indexed in search engine database in a timely manner. The number and quality of incoming links give great impact on placement of your website in search result. If your site has quality and unique content then people will automatically link it within their website. You do not need to do extra. Decide at the beginning that do you want to “www” in your URL. Once you have decided then stick it, do not change it. Unless it will have a bad impact on ranking of your website. If you have any additional SEO tips or guidelines, let us know them.